You use your hands and fingers for basic everyday functions such as grasping and holding items, scaling surfaces and even sending signals. To perform properly, the muscles in your hands and fingers need to be strengthened just like any other muscles. You can strength-train the muscles in your hands and fingers in many ways, including the use of grips. Another way to strengthen your hands and fingers is to use a bucket of rice. Obtain several pounds of uncooked rice and a bucket or container capable of holding that much rice when filled about halfway. You should have enough space to immerse both hands in the rice without spilling any over the sides. The rice can be of any variety. Pour the rice into the bucket or large container. Sit in a chair and totally submerge both of your hands in the rice. Make sure you are seated in a comfortable position that does not place stress on your lower back. 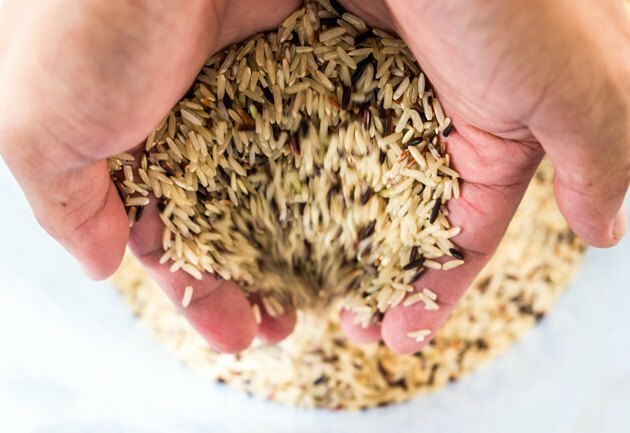 Grab a handful of rice and twist and turn your hands at the wrists, working the muscles in your hands and fingers. Continue grasping and releasing handfuls of rice while twisting and turning your hands for at least five minutes. Repeat the exercise as often as desired, but do not push yourself to the point of straining the muscles or tendons of your hands or fingers. Stop immediately if you feel pain. If pain persists, consult a physician.